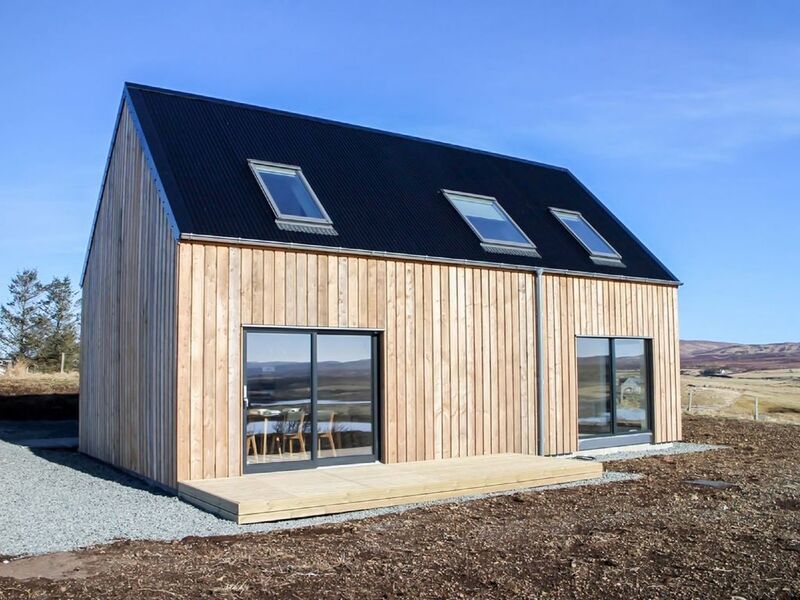 Cosy, comfortable cottage "Taigh Uilleim", 2 storeys, surrounded by meadows. In a secluded, quiet position, 3 km from the sea. Private: garden, parking (for 2 cars) at the house. Shop 8 km, grocery 8 km, supermarket 8 km, restaurant 8 km, bar 8 km, diving center 9 km. Nearby attractions: Dunvegan Castle 7 km, White Wave Activities 45 km, Uig and Outer Hebrides Ferry 40 km, Coral Beach 13 km. Please note: car recommended. 2-room cottage on 2 levels. Spacious and bright, comfortable and tasteful furnishings: open living room with TV, flat screen and DVD. Open kitchen (4 hot plates, oven, dishwasher, microwave, freezer) with dining table. Exit to the garden. Sep. WC. Heating. Upper floor: 1 double bedroom with 1 double bed. 1 room with 2 beds. Bath/shower/WC. Heating. Beautiful view of the mountains and the countryside. Facilities: washing machine, dryer. Internet (WiFi, free). Please note: non-smoking house.